THIS WILL BE FUN: LIBERTINE AGED IN 2 GINGERS WHISKEY BARRELS AT OUR TAPROOM ON THURSDAY! Because whiskey and beer go together like, well, whiskey and beer. Anyone who has visited our taproom in the last six months has likely noticed the racks of oak barrels hanging out in the corner. 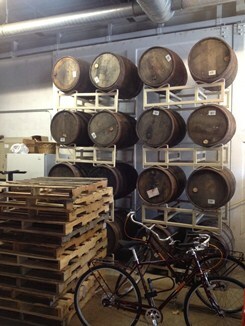 The barrels came from the great folks at 2 Gingers, who let us borrow a dozen of them for aging The Libertine. We're happy to report that after several months, the whiskey, the oak, and the beer have melded and mellowed into a marriage of flavors that's nothing short of sublime. Here's the details: We'll be pouring the first glass at 5:00 this Thursday, January 31st in our taproom. Pricing will be $5 for a 10 oz pour. Due to the very limited quantity we were able to produce, we won't be selling it in growlers or bottles. If you're not able to make it on Thursday, we'll be doing several more draft releases over the next couple weeks at bars & restaurants around the metro area. We'll announce them on our Facebook & Twitter feeds as they come up, so stay tuned. Speaking of fun, limited edition beers, Bryant Lake Bowl is tapping a keg of our Great Lakes collaboration brew tonight at 6:00. The beer is a Baltic Porter, a style which you don't see much of in these parts. Judging by the reception it received at Winterfest last weekend, many of you wouldn't mind seeing it more often. Drop into BLB to say hello and enjoy one for yourself this evening. If you were lucky enough to get Winterfest tickets, you'll be happy to know we've pulled together a very special lineup of beers. Stop by our table on Friday and be ready to enjoy: - War & Peace - Libertine Aged in 2 Gingers Whiskey Barrels - Cask Sweet Child of Vine conditioned on Nelson Sauvin hops - An all-new Double IPA featuring Nelson Sauvin and Mosaic hops And if Brian has a little extra room in the back of his car, we may even bring a quarter barrel of something else along. Not going to Winterfest? Not to worry, we still have you covered. Grumpy's Nordeast is tapping a cask of Worthy Adversary conditioned with coconut and macadamia nuts at 4:00. Pat & the crew always cook up some FREE delicious food to go with the cask, so come hungry and thirsty. Our first ever collaboration brew. Plus, the return of War & Peace is imminent. With winter in full swing, the combination of subzero temperatures and lack of sunlight has cast a spell of cabin fever over the brewery. We're not doctors, but we're comfortable pretending we are, and that makes us confident that our prescription of new beers will lead us to the cure. 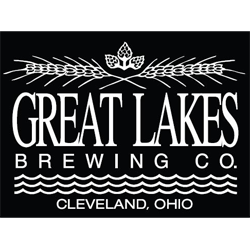 We've long admired Great Lakes Brewing Company. Since they were established in 1988, they've brewed exceptional beers and done it while emphasizing the importance of operating in an environmentally and socially conscious manner. Needless to say, when the opportunity arose to travel to Cleveland to collaborate on an all-new beer, we jumped at the chance. Brian and Mikey got to work with the Great Lakes brewers and their 7 bbl pub system to brew a truly unique Baltic Porter recipe that incorporates molasses and Great Lakes' proprietary lager yeast. Want to know what it tastes like? We were only able to produce a couple dozen kegs, and only about half made it here to Minnesota. Our taproom doesn't even get one, so you'll have to join us at one of our release events if you want to try it. If you were quick enough to get tickets for tonight's Happy Gnome Beer Dinner or Saturday's Beer Dabbler, you'll get a chance at it this week. Next week, we'll be at Bryant Lake Bowl to tap a keg on Tuesday, January 29th. We'll have a few more release events in the upcoming weeks, so be sure to check for updates on Facebook and Twitter. The Great Lakes collaboration didn't quench our thirst for experimentation; in fact, it only fueled it. Back at our Minneapolis brewery, we turned to filling firkins with some exotic combinations. First, the aformentioned 1/29 event at Bryant Lake Bowl will also feature a cask of War & Peace - a cult favorite that you'll be seeing more of soon (more on that in a minute). 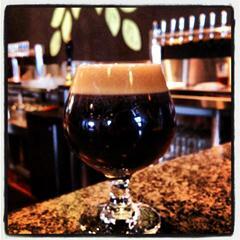 Next up, Buster's on 28th will be tapping a cask of "Mole" Worthy Adversary this Thursday, January 24th at 6:00. That's Mole as in "inspired by the Mexican sauce," by the way; we added cinnamon, ancho chiles, and cocoa nibs to the cask, not a small, marmot-esque mammal. The following week, we'll be celebrating Firkin Friday on February 1st at Grumpy's Nordeast with a cask of Worthy Adversary aged with macamia nuts and coconut. We've done a Worthy cask with macadamia nuts once before, and it was truly one of the best we've ever had. The addition of coconut will only make it that much better. The questions: "When is the War & Peace coming back?" And: "What's in those barrels?" Then: "So, when are you going to tap those barrels?" The answers, respectively, are: soon, Libertine, and very soon. If you'd like just a bit more information: War & Peace, our Imperial Coffee Stout infused with whole bean Guatemalan Organic Dark Roast from Peace Coffee, will be available in late February, both on draft and for the first time ever in 750 mL bottles. We'll be announcing an exact date shortly. As for the barrel question: Our friends over at 2 Gingers Whiskey loaned us the barrels, and we've been allowing The Libertine to age in them for several months now. We got to sample it yesterday, and we think it's ready and quite nice. By the way, we don't "tap" the barrels; after aging, we transfer the beer to a stainless steel tank for blending, carbonation, and packaging. We're now blending it and will be announcing a taproom release date very soon.